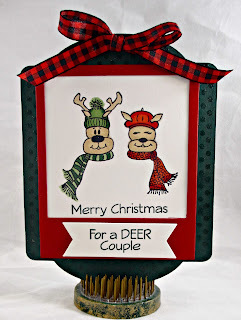 Christmas in July ~ at least for A Jillian Vance Design! We just returned from Summer CHA which was held in LAS VEGAS! 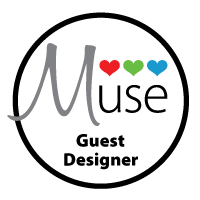 At summer CHA manufactures and designers showcase Fall and Winter designs. What fun we had! Photos coming soon to the AJVD Facebook page. I even got to see my all time favorite ROD STEWART at the Colosseum at Caesars Palace where we stayed! We also went the the Beatles Love Cirque du Soleil show as well as Rock of Ages! I would recommend them ALL ~ they are all totally amazing! 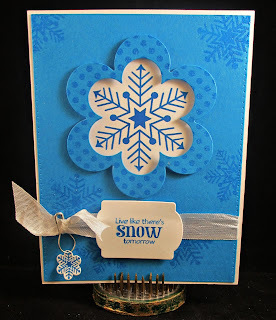 Today for my card I am featuring the Simply Snowflakes Stamp set as well as the Snowflake Flower Die Set Snowflake flower you say . 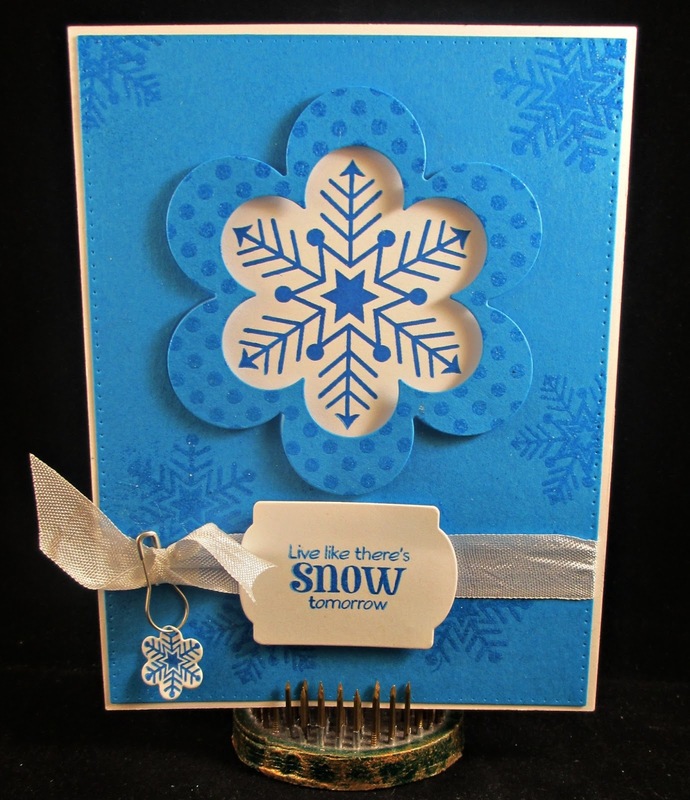 . . well it fits our snowflake stamp sets as well as making a stand alone flower too! I used the largest Snowflake flower die to make a frame around the snowflake and give it some depth! Used the smallest die and stamp to make the charm ~ so cute! How cute is THIS!!! 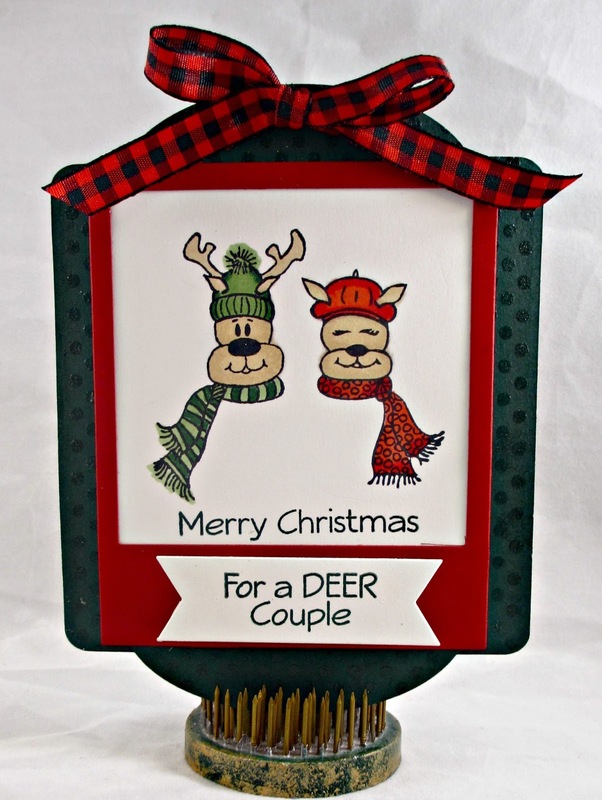 Another one of Jillian's whimsical new Christmas design. ALSO Check out the new video on You Tube showing how to separate our dies that come "wired" together.